One of my favorite online stores, The Traveling Closet, turned 1 last June 15! As part of their anniversary celebration, they've partnered with 5 of their favorite bloggers (naks naman I'm honored!) 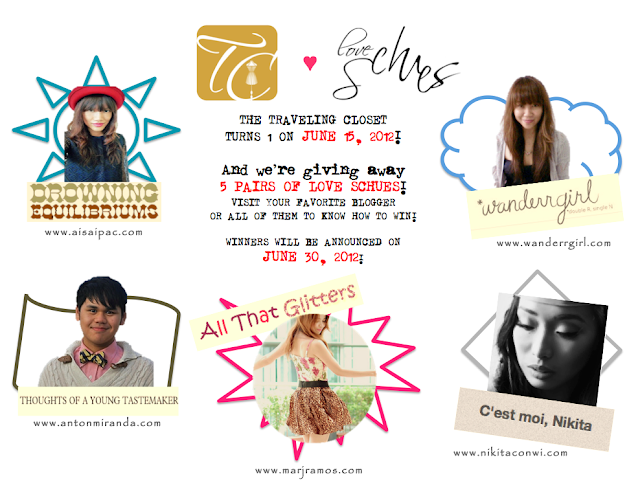 as they hold a giveaway and also the launch of the latest addition to the Traveling Closet family-- Love Schues. And now 1 of you could win a pair by joining my giveaway! 2. Follow The Traveling Closet on FACEBOOK & TWITTER. 3. Tweet this, "@travelingcloset & @paxieness is giving away a pair of pretty shoes from Love Schues! #TCAnniversary"
4. Leave a comment below with your name, email and the URL of your tweet. I'm your #653 blog follower. 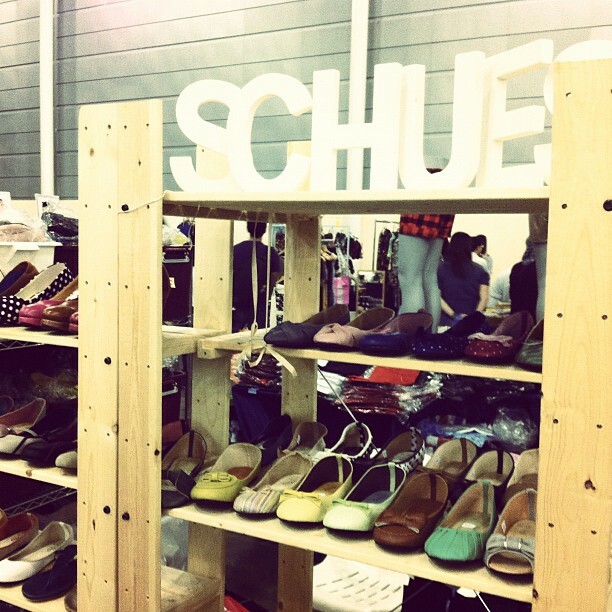 Hope to win one of the 5 pairs of lovely shoes from Love Schues! Thank you Pax, Traveling Closet and Love Schues! Follow The Travelling Closet on FB and Twitter.